The Anchor Inn at Seatown with Stunning Views of Jurassic Coast. 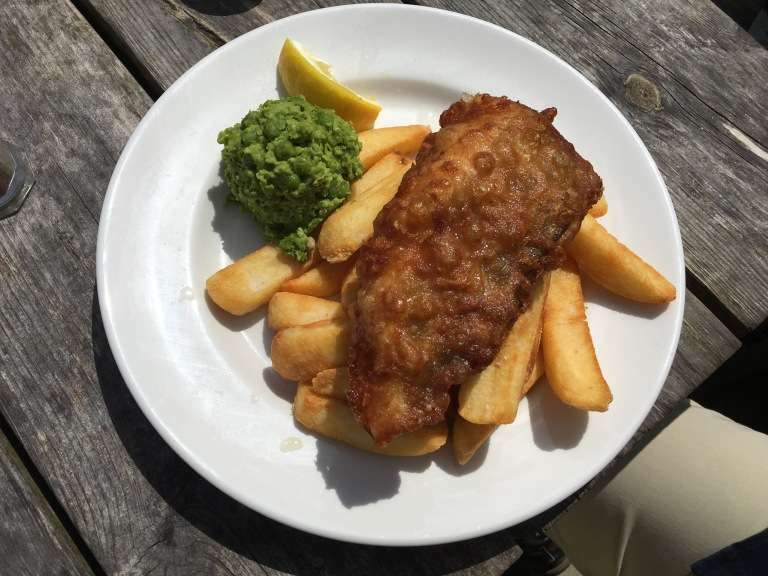 If you are thinking of a day trip somewhere reasonably local with the all important stop for lunch, then why not visit the Anchor Inn at Seatown – or more accurately the “sea town by Chideock”. 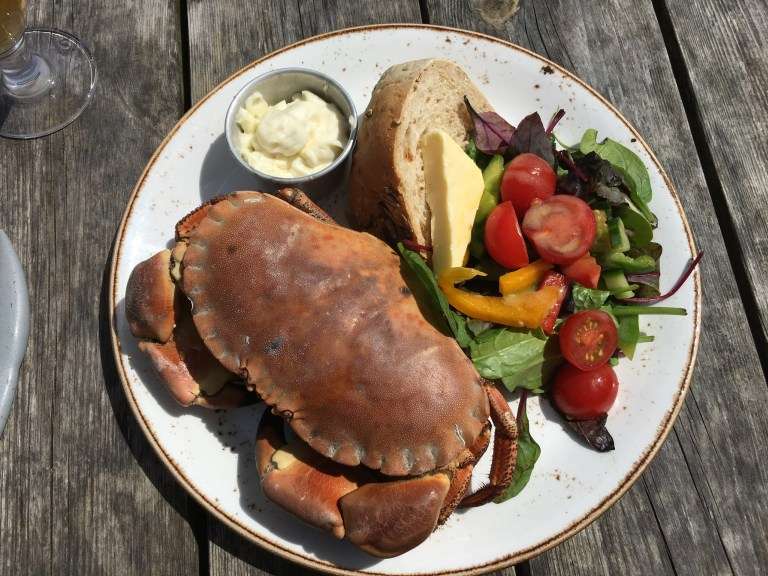 This award winning Pub is approximately a 30 min drive from our cottages – head along the coastal road to Chidock and then turn left by the church down Duck Street and follow the windy lane about 1 mile down to the sea. There is plenty of parking space and the charge of £5 is refundable if you spend £20 or more in the Pub. 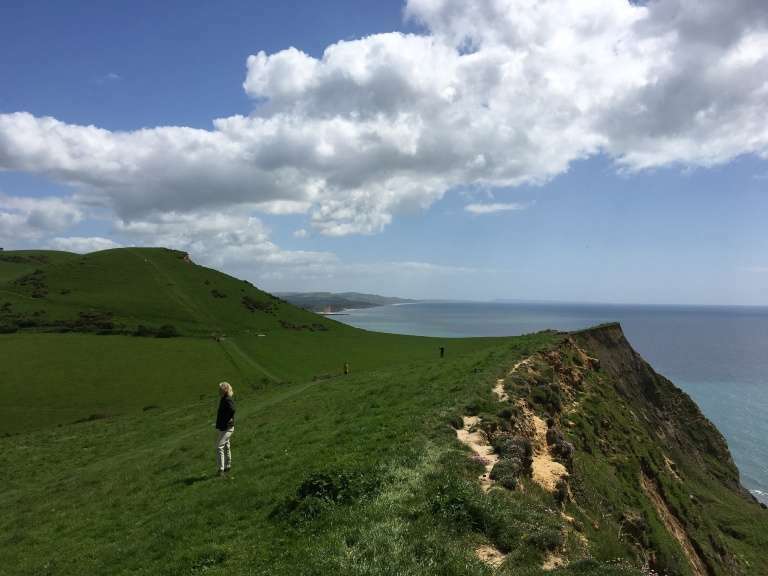 To work up an appetite and fully worth it for the views take an easy hike up either of the hills either side of the pub – the most famous being up Golden Cap which is the highest point on the South Coast. If you take the eastern hill, it is not quite as high but the views are equally as stunning – you really can view the Jurassic Coast in all its glory all the way along towards the vivid, golden cliffs at West Bay (Broadchurch fame), the mighty Chesil Beach and the very distinctive shape of Portland Isle in the far distance. If you really fancy working up an appetite continue along the Coastal footpath towards Eype or a little bit further towards West Bay and then retrace your steps back to the pub. When you finally make it back to the Anchor Inn you wont be disappointed. 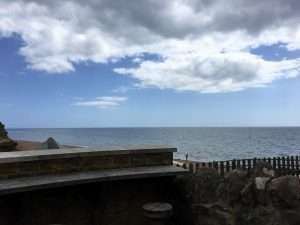 It has some lovely secluded outside sitting areas where you can enjoy looking out to Lyme Bay and listen to that hypnotic sound of the waves on the shingle. 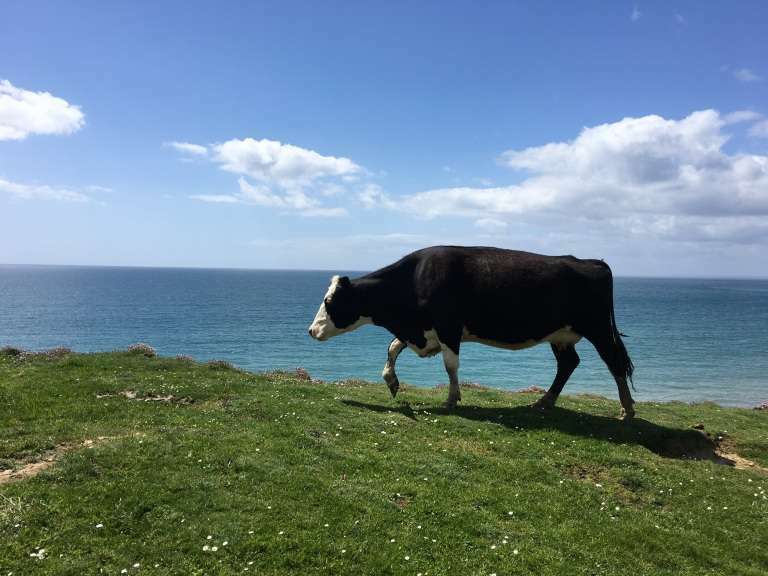 The menu has everything from hearty pub snacks to more refined gourmet meals with a fantastic selection of seafood, all created by Head Chef, Jean Paul De Ronne, a passionate wild food and foraging aficionado who has previously worked under BBC MasterChef winner Matt Follas. 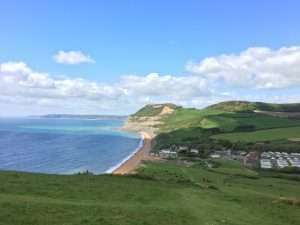 To rehydrate after pounding those hills, they serve quality real ales from local Palmers Brewery at Bridport or if you are feeling slightly more indulgent, why not treat yourself to one of their fine cocktails. The pub offers a bespoke cocktail list created by their resident mixologist David Smith who takes inspiration from old classics and reworks them to make them his own. A firm supporter of local distillers, he also uses what he finds in the hedgerows to blend his own in house infusions and syrups. 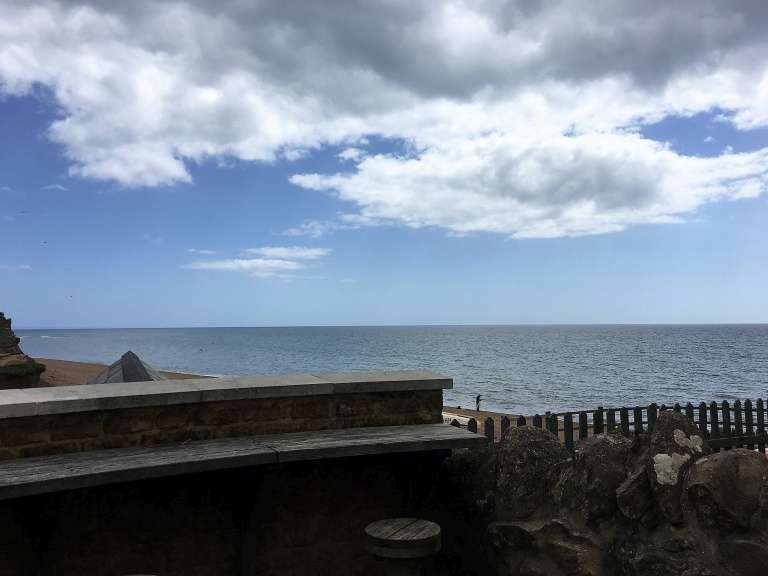 After a leisurely lunch you may well need 40 winks on the adjoining beach and when ready head further down the coast to explore the wonderful, iconic seaside town of Lyme Regis.